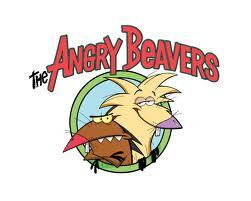 One of the few nickolodeon shows that I watched in the late nighties was The Angry Beavers. The others included Catdog and Hey Arnold. Beyond finally released a range of Nickelodeon classics onto DVD in Australia! When I saw the range placed at the front of the DVD counter, I nearly had a heart attack. I felt like a child being allowed to choose anything in Toys R Us. I’ve been wanting to watch The Angry Beavers for a while so I purchased it over the other shows; which included, Hey Arnold, Catdog, Aaah!!! Real Monsters, and Rocko’s Modern Life. I recently tweeted how I did not recommend the DVD because the quality was so blurry that it hurt my eyes just watching it. But if you’re a fan that just wants to enjoy the show, then go right ahead. After a couple of episodes, I believe my eyes adjusted to the blurriness because I got over it and just enjoyed the show for what it is. 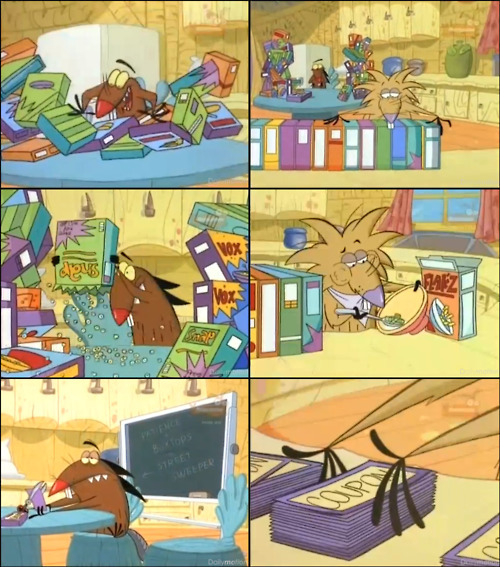 The Angry Beavers is a show from 1997 that focuses on two beaver brothers being kicked out of their parents’ home to finally live independently; namely, building their own dams. Daggart is the the immature, impulsive, and hyperactive brother. Norbert is the intelligent one. 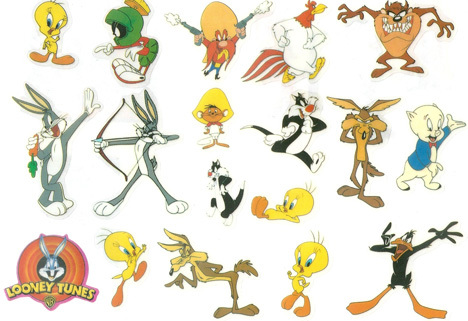 I am connecting with these characters more than I ever did as a child, and as a result I am having a much better experience watching the show. This is because they’re acting like grown-ups. Living on their own, making their own rules, going on holidays on their own, having responsibilities; these are everything that an adult faces. My favourite episode (and the one that I always remembered when I thought of Angry Beavers) is ‘Box Tops Beavers’. The brothers purchase a crazy amount of cereal. Daggart’s purpose is to rip into all of them and get the small prize at the bottom of the box. Norbert’s purpose is to cut off the coupons off every box after eating the cereal. Then he collects all the coupons until he has enough to purchase the large prize. I remember collecting cereal coupons and getting, funnily enough, the Rugrats school bag, watch, and water bottle! I didn’t get much as a kid, so I would do anything to win prizes from cereal! I loved the episode because it’s a matter of choice, displays the differences in these two characters, and of course because I could connect with it as a child. Be patient and get the better prize. As an adult I am laughing more, I am relating to the characters more, and I am enjoying it more than ever before. This show is amazing and definitely stands the test of time. When I reflect back on my childhood, I picture bike rides, sword (plastic sticks) fighting, scary stories, Sweet Valley, and Nintendo. My family owned the Nintendo Entertainment System and an ATARI, but I preferred playing the ATARI games because they were simple. I still love those games. My brother chose the Sega Genesis over the Super Nintendo later on, which didn’t appeal to me either. My next door neighbours bought a Nintendo 64 a few years later and it was as if it was mine as well. I was there everyday to play the next stages of Donkey Kong 64. It was nothing like what I have ever played before. It was a 3D adventure; no more 2D side-scrolling! I was there everyday after that for any new games that they may have rented. We helped each other beat the bosses, battled against each other in multi-player modes and party games. My friends’/neighbours’ parents grew sick of my face! 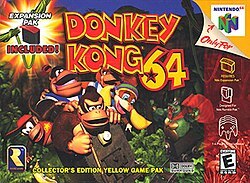 Donkey Kong 64 – Every time you find a banana there’s the epic signature drumming by Donkey Kong. Super Smash Brothers – Introduced me to a character by the name of Link, who was my go-to character. My second go-to character was Pikechu. Banjo & Kazooie – RARE needs to leave Microsoft and make games for Nintendo again. Pokemon Stadium – The Kids Club – Where you play mini-party games. They were a hoot! Mario Party – Rather low on the list. I guess since I can still play Mario Party there’s less nostalgia for this one. South Park – Pottie mouth kid that won’t stop talking. The horrible turkeys. Annoying, annoying, annoying! It was a party game or could have been mini-games of an adventure one. I remember one of them was that four players were separated in two teams and had to kick as many soccer balls as you can pass the other team’s goalie. There was also one where it was like bumper cars. Nintendo 64 is my favourite console of all time even though I don’t own one and never did. I had a blast playing the games mainly because there was always a group of friends to play with. There were some bad memories here are there, such as fighting over the controller, but majority of it were fantastic, regardless of it destroying the other parts of my life; reading, playing outside, spending time with my family, not getting any homework done, falling behind at school, etc. I don’t know why but I have never been a fan of Mario. I dislike Luigi even more. If I had to play any character from the original Mario Cart, I always chose Peach. I can’t wait to purchase the Wii U and continue my Nintendo adventure. Let me know which were your favourite games to play on the Nintendo 64. I would totally act like that if someone gifted it to me now. The Wonderful World of Stickers! 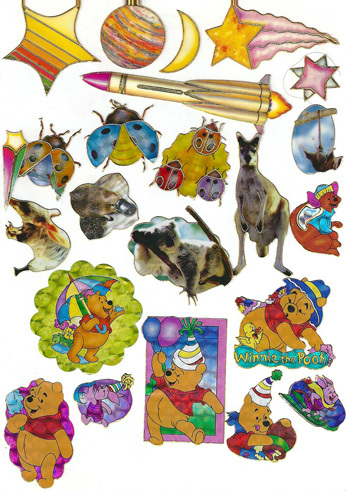 I was cleaning out my cupboards and found something that reminded me of the latter half of my childhood: sticker books. This happened during the end of the 90s. 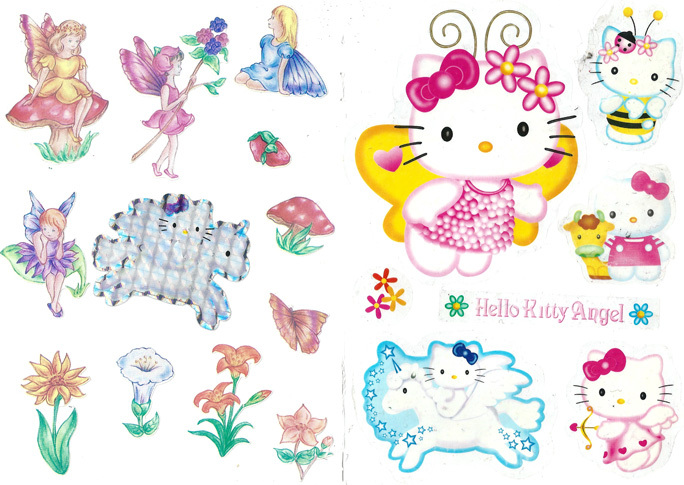 I don’t know why, but collecting stickers was the new cool thing with the kids at school. It didn’t matter what kind of sticker it was (okay, nobody would collect labels or anything but you know what I meant). If it was a sticker and resembled a cartoon, it would go into the sticker book. Step One: Collect them all! 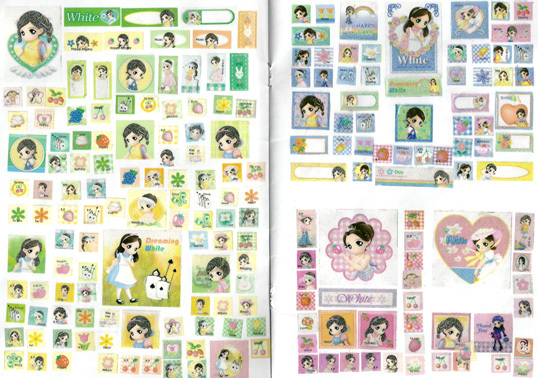 Suddenly, the kids discovered a Korean store that sold Korean stickers called Lovely White and others. Those stickers put our western ones to shame! I wanted to own as many of those as possible. I mean look at them, aren’t they pretty? 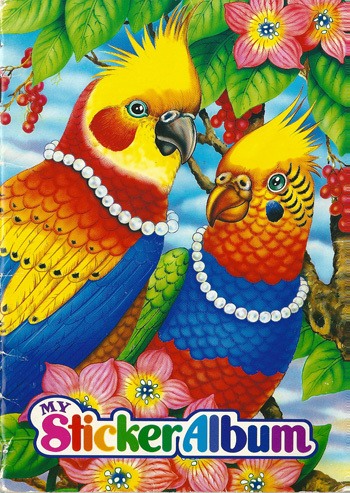 My goal at the time was to fill up my sticker books and hand it to my child/grandchild when I die. Lovely White was ranked no. 1 in the sticker collecting world. After elementary school, I stopped collecting stickers. It seemed everyone was over it, so I left my stickerbooks to gather dust for all these years. Now I stare at these stickers wondering, why didn’t I use them? What am I going to do with them now? Instead of having fun and sticking these into the activity book, I decided to keep them. Oh me. So greedy. We are supposed to be stuck on a wild west background, dummy! No! I will not get sucked in again. Apparently there were kids that were listening to the Backstreet Boys and N*Sync in 1998, but the only song that I heard during lunchtime at school was Five’s ‘When the Lights Go Out’. My class was obsessed with Five. For show and tell, the kids will show off their Five posters, with the students pointing out their favourite boyband member of course. Many of them loved Scott and his cool hairstyle. It still looks pretty cool. What is it? My favourite is Ritchie. I didn’t have a favourite back then, but J stole every scene for me because he was just so cool. During our last semester, my teacher was kind enough to allow the radio to be on while we ate our lunch in class. ‘When the Lights Go Out,’ always managed to come on the radio! Now that I think about it, the song would have played four times an hour for that to work. I have to say. It was the most amazing song I have ever heard in my life. I was unaware of pop culture and the music scene. I did not have much songs to compare it to except for spice girls and Aqua. It is still amazing to this day. 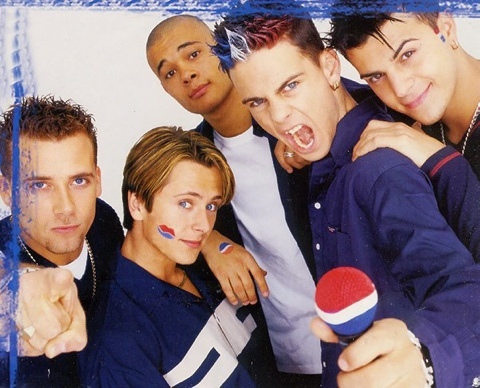 Five will always be my favourite boyband. Backstreet Boys are legends, but these guys are something else. They could rap, sing R’n B, and dance! They had such classic 90s moves where they sing right into the camera lenses and make hand and arm gestures. I recently just found out they wrote and co-wrote most of their songs, which is a significantly rare thing for boy bands. There’s another version where they break into the bowling alley but this was the version Released in Australia. The album single and the one used in this music video is actually different. In the video it shows Ritchie singing with Scott. However, in the single, Scott sings the whole time. I don’t own the album or CD, so anyone could clarify this that would be great. 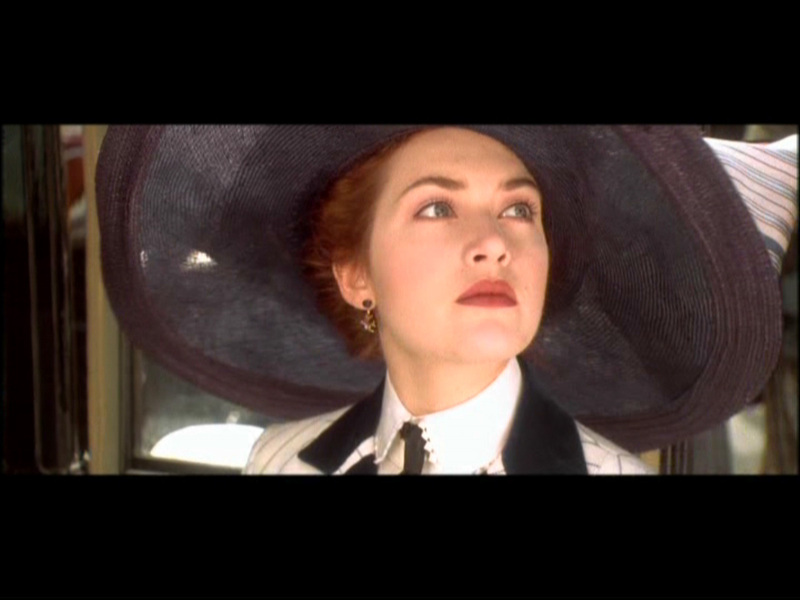 If you didn’t know already, Titanic will be rereleased in cinemas very, very, friggin soon. If you aren’t planning to go to the cinemas and watching this epic romantic thriller, then . . . I can not. 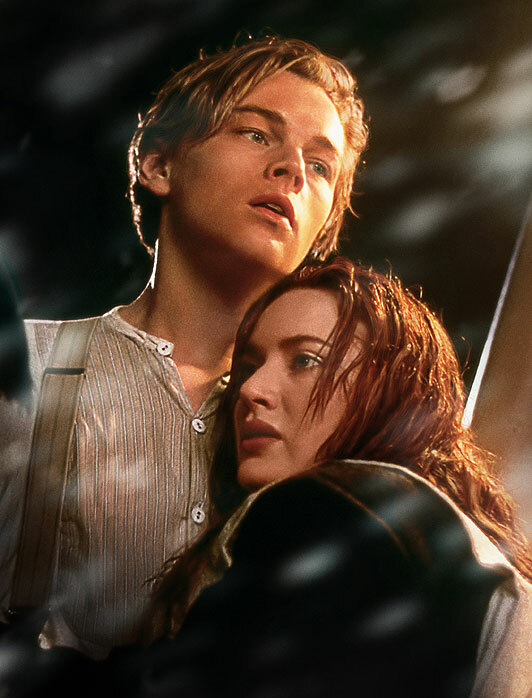 Titanic is a film directed by James Cameron, staring Leonardo Dicaprio and Kate Winslet. It was released in 1997 to sold-out theatres everywhere. The public assumed this film was going to tank, but it ended up breaking records for the highest grossing film of all time. Things like this make me laugh. I love a good “haha, I proved you wrong” story. It stood as the highest grossing film for over ten years before getting beaten by James Cameron’s own film Avatar. I predicted it was going to happen due to its high ticket prices, but that didn’t mean I was happy about it. Don’t get me wrong, Avatar was great, but come on, better than Titanic? I don’t think so. The last time I saw Avatar was in the cinemas. The film is about a wealthy girl, lost, and trapped in her class who falls for a boy from a lower social class. I barely graduated out of elementary school when I saw this film. The ending scared the crap out of me. I went to sleep shivering under my covers. Disney had be believing that all movies had a happy ending. That was not happy at all! At that age I didn’t see the actors in the film, I saw the characters. So if a certain character dies, I would believe that I would never see that face again. This is the type of film that will tear at your heart strings not just for the romance, but for the entire atmosphere and extras. This film alone won 11 Oscars including Best Picture and Best Actor. It stayed in theatres for ten months! That’s nearly an entire year! I’ll see you at the cinemas. Popcorn and all. Bow to this film. Bow. 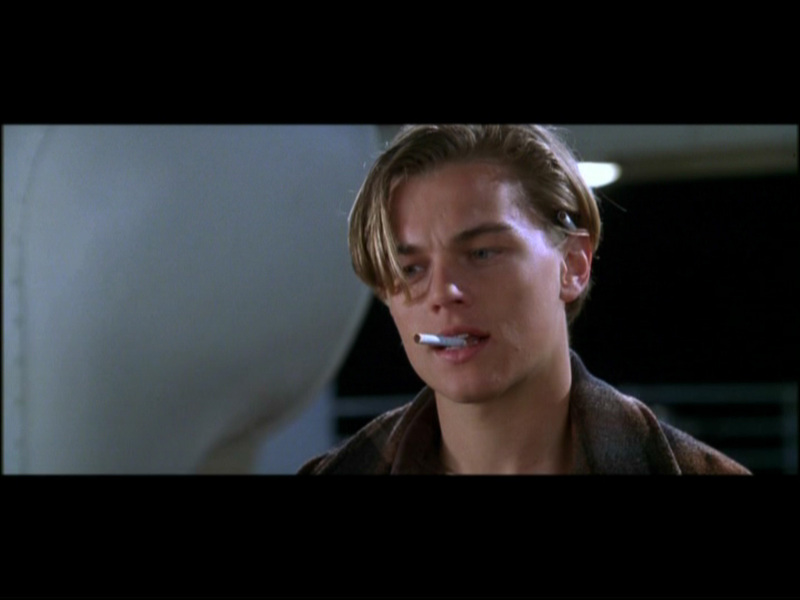 Leonardo DiCaprio has never looked better. 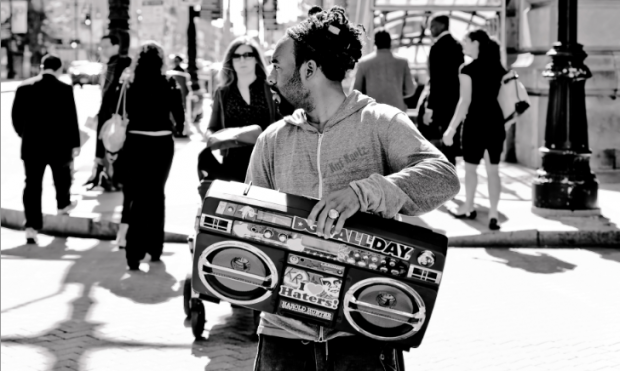 This is my love dedication to Boomboxes or Ghetto Blasters. I still have a 90s all black one hidden somewhere. 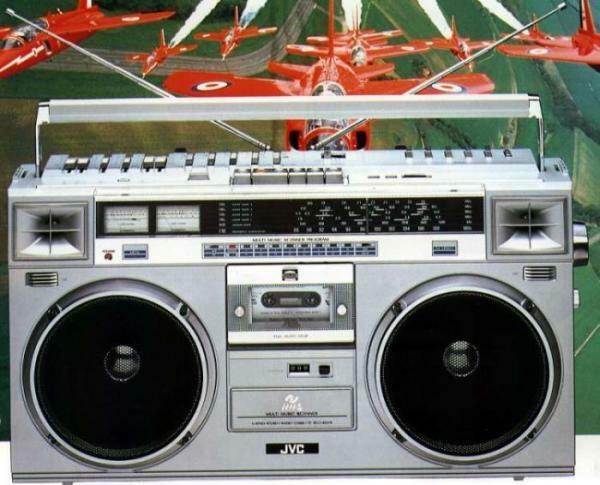 If I am able to get my hands on an 80s boombox and get my friends to dance with me on the streets, that will be the coolest thing that will ever happen to me. Who needs to go to a club when you can create your own? Aww man. 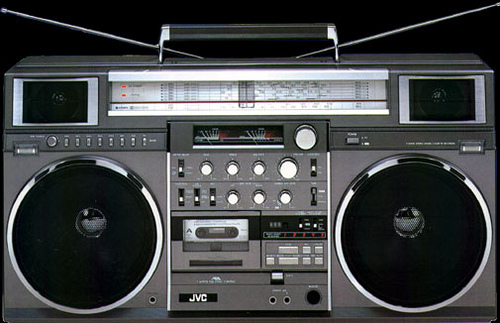 I’m trying to remember where I saw a scene of 80/90s kids in a New York street blasting the ghetto blaster. Where have I seen this?! Was it a music video? A TV show? Feel free to post youtube videos of scenes with the boombox as these are the only ones I could find. You know those small backups that all the teenagers and even children used to carry around? You know . . . they come in mostly black, sometimes leather, sometimes a big smiley face? You could see bubble shaped ones? There were ones so small you could only fit a sandwich in there. Yeah those. They are called backpack purses. They have never really disappeared. You just don’t see them as a fashion staple anymore. I was ten years old and everyone in my class brought along their tiny little backpacks to school excursions. I believe American schools call it field trips, and some of these road trips take a few days. We call those camps. When it’s a day trip we call it excursions. So everyone owned one except me and a few uncool kids (we were the unspoilt ones). 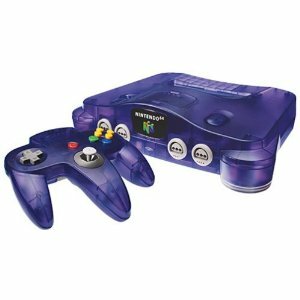 I literally whined to my mother until she bought me one and it was the greatest thing I could have ever have gotten that year. I never got any dolls or new toys I wanted, but when my mother saw me wanting a bag, and bags are useful, she made sure I had the best one. That was of course, a long, long time ago. Guess what, everybody? I’m bringing them back! I have a black backpack purse, my pale blue jean, plaid shirt, and doc martens! Wooo! I’m a 90s walking disaster and I don’t care! I love it. Alright. Honestly, The backpack purse, depending on the style, still looks dorky. Well I have accepted doc martens. Perhaps one day, I will carry around the backpack purse with pride. 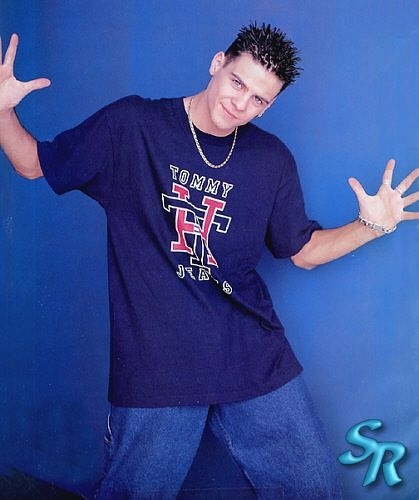 Let me know if you have accepted any 90s fashion item into your daily wardrobe in the comments below.